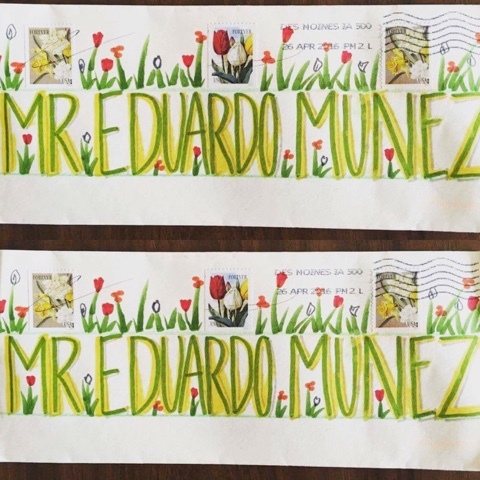 The Eduardo Munez Letter Project: 445. Gorgeous Greens from Alison Schwanz-Daleske. 445. Gorgeous Greens from Alison Schwanz-Daleske. Oh I just noticed the infamous pen mark cancellations on the left and middle stamps :-( I hate when the post office does that! Sort by Mail Artist or Country of Origin.